I’m here to report on our Amazon mattress. Nearly five whole years ago, Mr. Frugalwoods and I bought a king-size mattress. From the internet. For $279. We named it Internet Mattress. Since we’ve been snoozin’ on this bed for half a decade, I figured it was high time for an update on how the relationship is going. The summary: Internet Mattress is amazing, it’s still in great condition, it’s still under $300, and I still highly recommend it. Before discovering Internet Mattress, Mr. FW and I expected we’d have to cough up four figures for a bed. What we didn’t know then is that frugality can be applied to almost every aspect of life. There’s an assumption that things like mattresses (and cars and babies) must be expensive, but that’s nothing more than a trope of our consumer culture designed to intimidate us into doing obscenely ridiculous things like purchasing beds on payment plans. Questioning the mainstream expectation that in order for something to be good it must be expensive is why we frugal weirdos win even when we buy something new (which, as you well know, I’m loathe to do… I am the person who went three years without buying clothes). As I’ve been known to say, don’t fear the cheaper. The view from Internet Mattress of… the other side of our bedroom! Week in and week out, I aim to prove there’s an economical way to live that good life. After college, I slept on a yoga mat because I couldn’t afford a mattress. I saved up and bought one (with cash) three weeks later, because let me tell you what, sleeping on a yoga mat is not a good way to save money. Internet Mattress on the other hand? A very good way to save money. When we bought Internet Mattress, we honestly had no idea if it would work out or not. But here’s the thing: we reasoned it was so cheap that it didn’t matter. If Internet Mattress didn’t pass muster, we’d simply move it into the guest room and buy something different. Plus, you can actually return a mattress to Amazon if you totes hate it. Thus, we felt we had nothing to lose by trying out this ultimate frugal option. And since our frugal bet paid off, I’m here to regale you with the tale! Don’t worry, I also would’ve regaled you if it hadn’t paid off. In 2012, after five years of living together–and being consistently 6’2″ and 5’7″ and kicking each other all night long–we decided we (and the longevity of our marriage) were ready for a king-sized bed. We graduated our double bed (which cost us a whopping $600 from a ye olde mattress shoppe in 2007… growl) to the guest room and began our quest. Really, really quickly we discovered that beds are stupid expensive. We were frugally appalled and we weren’t even the Frugalwoods yet! It seems mattress stores thrive on desperation. Nobody window shops for mattresses–by the time you walk into a mattress store, you need a foam rectangle to sleep on that night. Hence, they can charge you whatever they want. There’s some sort of cabal around mattress buying and we’re brainwashed into thinking: 1) a mattress must be expensive; 2) a mattress must be purchased in person. Fie to both these thing, I say! Fie! In light of our appall over traditional mattress prices, we did what we always do in times of frugal turmoil: we began researching our conundrum on the internet. And the internet recommended this mattress. And the internet was right. Since Mr. FW and I prefer a firm mattress, we have the 8″ option. However, Internet Mattress comes in other firmnesses (a word? perhaps not… ) so if you prefer a softer touch, you can select for that. If you’re wondering how it feels, it’s basically a knock-off Tempur-Pedic. Since it’s foam, it doesn’t require a boxspring, but you do need something for it to rest on–we have this bed frame from IKEA, which is equipped with wooden slats to support Internet Mattress. You can also buy the slats separately if you already own a bed frame. Amazon delivered it to our house. For free. Wait, Mrs. FW, are you saying Amazon actually delivers this gigantic thing? For free?! Yes, oh yes they do. And I have no idea why because it’s freaking huge. Traditional mattress stores relish charging ludicrous amounts for mattress delivery, so we were thrilled with Internet Mattress’ gratis conveyance. Thrifty trucking. Sans cost shipment. Freebie distribution. Complimentary dispatch. Ok I’m done. I kinda think Mr. FW wanted to buy Internet Mattress just to see how it would arrive in the mail. Well, arrive it did. Internet Mattress was rolled into a tube inside a plastic bag in a long cardboard box, which we were able to lift together and drag into our bedroom. Internet Mattress is trucking along quite dandily. No dents, no divots, no sagging–basically no indications of wear whatsoever. I guess that’s because it’s composed of foam layers? Not sure, but I’m impressed. In other good news, the foam does not make us hot in the summertime–so, hooray! Before Babywoods was born, I bought this waterproof mattress pad, which Mr. FW made fun of… until the first time Babywoods threw up in our bed. So, if you have kids (and especially if they’re pukey like mine… ), it might be worth it to enclose the mattress in waterproofedness because I don’t think the foam would take too kindly to being cleaned. The mattress does come with its own zip-on cover, but it’s not waterproof. 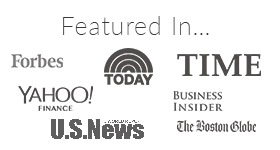 Breaking News: Is Internet Mattress The Deal Of The Century? Probably not. But it has turned out to be a darn cheap bed for us–and it continues on! This thing just keeps getting cheaper. For the purchase price of $279, divided out over its five years of life (thus far), we’re at an expenditure of $55.88 per year. I mean, please. For fun mathematical comparison, I would like to point out that Tempur-Pedic brand mattresses can cost as much as $4,999. Also, there are a bunch of “trendy” “millennial” online mattress companies that, while cheaper than the aforementioned Tempur-Pedic, still cost circa $750, which is more than double the cost of Internet Mattress. Internet Mattress does not mess around with fancy, put-a-bird-on-it branding adorned with hipsters artfully perched on the mattress, drinking lattes while growing ironic beards. However, I can offer you this picture of a dog on Internet Mattress, so you’re welcome. As the author of The Myth Of The Gross Used Things, and the owner of far more used things than new things, I can tell you right now that I have zero qualms about used mattresses. However, I could not find a single used king-sized mattress when we needed one in 2012. I scoured Craigslist. I haunted online garage sales. None to be found and not for lack of trying. We once bought a used twin-sized mattress, boxspring, and bed frame for our second guest room–a bed that’ll likely become Babywoods’ when she graduates from her (hand-me-down, used) crib. There’s nothing inherently wrong with getting a used mattress–all you need to do is source it properly. I personally wouldn’t take a mattress off the side of the road since it’s impossible to determine its provenance and the bug/detritus situation therein. I also wouldn’t buy a mattress from a thrift store for the same reason (although, I don’t think they actually sell them?). But from Craigslist or a garage sale? Absolutely! For things like mattresses, couches (yes, we also sport a used couch), and other fabric items, I like to enter the home they’ve been living in. That way, I can assess the general state of cleanliness, the lack of smoke/pet hair, etc. The bed we bought, for example? It came from empty nesters in a wealthy suburb of Boston from a house that was easily worth $2M. Let me just say: it was a lot cleaner than my own home. The bed was their college-age daughter’s childhood bed and they were redoing her room. A win for us and a win for them! In sum, if you’d like to source a mattress used and are able to find one in good condition that’s cheaper than Internet Mattress, you should go for it! Extends far beyond foam. For truly, Internet Mattress is a lesson to us all to never grow lazy in our frugality. To never assume we must pay top dollar and to rage, rage against the endless, pulsing tide of consumerism that threatens our bank accounts and our very sanity. Don’t be a mindless consumer. Don’t surrender your cash to support ludicrous marketing campaigns designed to make you think there’s something wrong with living a simple, frugal life (there’s not). The old adage warns: never cheap out on anything that separates you from the ground: tires, shoes, or mattresses. But I gotta tell you, I think the adage got it wrong on this one. What a great article! We’ve been considering our mattress options, and this looks promising. The only question have is that the link for the bed frame doesn’t seem like o be working. Could you resend it, or tell me the name of your frame? Thanks! Love your posts! We have this Hemnes bedframe from Ikea, but it’s not necessary for the mattress–you could use pretty much any bedframe as long as it has slats to support the mattress. Good luck :)! This is awesome! I generally buy Denver Mattresses for around $500 for a Queen so this is a great deal. I’m impressed it’s in great condition! I spit out my coffee at ‘put-a-bird-on-it’ branding. My wife and I have been dipping our toes in the world of mattresses. We never considered stepping foot in a store, BUT ‘bird’ mattresses were at the top of our list. You’ve convinced me to broaden our search. Internet Mattress to the rescue, I guess! Ha! Seriously just bought my teen daughter something similar……she seems to like it. I love Amazon! Thanks for the review–definitely good info to have. We bought our grill from Amazon and were amazed they delivered it for free. The thing weighs hundreds of pounds! And it was a way better price than retail. We bought our bed in 2005 from a mattress store for $600 for mattress, boxspring, and frame. It was a huge purchase for us–and one of very few new furniture items we’ve ever bought. Fortunately it’s held up well. I am intrigued by the foam mattress that doesn’t need a boxspring now, though, and will definitely keep it in mind next time we need a mattress (and can’t get a decent used one). Yay for Internet mattress! I know when I finally had to live on my own, alone, one of the first purchases I had to make was a bed. I couldn’t believe the cost of a mattress. I went with the cheapest pillow top they had – which was one notch above the prison cell brick they were selling. I ended up spending a few hundred dollars and skipped the actual bed. Instead, I used a metal frame that they threw in for $50. It’s now 8 years later and I do finally have a bedframe with that same old mattress. It’s not the best mattress in the world but it serves us just fine 🙂 Two thumbs up for frugality in every aspect of life! that’s one thing I would absolutely buy new, a mattress. I totally agree that they are WAAAYYY over priced for what they are, BUT a used mattress is likely to be a bit grim. Don’t ask me why. Possibly a very lightly used one where it had been owned for just a few months, or a rarely-used guest bed would be fine. Otherwise… no. Clothes (not shoes) yes, furniture, totally, all of it, absolutely. Not mattresses, not shoes. We must have Internet Mattress’ cousin! We bought our first bed when we moved out together almost 5 years ago (we’d each still had a twin at our parents). We had no money, but had to sleep on something, so bought a full size coil mattress from Amazon for about $180. It came with a frame and wooden slats for support. Neither of us knew you needed a box spring for that kind so…We don’t have one! We did later get a foam cover (it’s about 4 inches thick) that I think cost $40-$50. 5 years later we are still very comfortable! When I hear ads for mattresses that start at like $500…I cringe! I’m so glad we never paid that much. Wow, you saved about $3k by going with the Tempur Pedic knockoff. That’s pretty awesome and sounds like it’s working out well. Buying a used mattress seems a little weird but if you think about it, it’s really no different than sleeping at a hotel where the mattress has been slept on by hundreds of other people. I actually bought the internet mattress after you mentioned it on the blog Mrs frugalwoods. And I adore it!! Its super comfy and doesn’t cause my back to ache. And the fasct that it was $170 makes me sleep all the more soundly! I am eternally grateful for the recommendation. We bought an internet matress for our oldest when he transitioned out of his bed. Single size was right around 100 dollars delivered. He still sleeps on it two years later (and through the night). so I consider it a success. It really was amazing how small it was rolled to ship. We are the proud owners of an internet mattress too! We went for a fairly high end 13″ luxury model. So it came in just over $300. 🙂 Considering the same thing was $1000+ at the mattress store, I think we did okay 🙂 I think we’re at 2.5 years of sound sleep on this puppy. After visiting dozens of hotels, guest bedrooms and airbnbs over the years, I can’t recall a single one that came close in comfort. This comfy internet mattress is always something we look forward to coming home to. And it was $300! I’m hoping it makes it through the five year mark intact. If so I’ll consider it a smashing success. I have no problem paying $60/yr (or less if it lasts longer) for uber-comfortable sleep. Considering we spend 1/3 of our life on the mattress, it makes sense to get something comfortable. As for your craigslist search for mattresses, I learned that these things are hot commodities. I sold two kind of crappy queen size mattresses for $80 each in no time at all and got several offers for the nicer one. They were uncomfortable and noisy but they still sold. I imagine a brand new king size internet mattress would resell for $200 pretty easy on craigslist if it arrives at your house and you find it doesn’t suit you. Although I recall our seller offered a 30 day money back guarantee with free return shipping, so it’s a very low risk proposition. We bought a couple gel mattresses from a local mattress store, called Resnick’s. I picked it up and it came in a box that he tossed in the back of his truck. Just $199 each and no shipping costs. We went with the 12″ rather than the 8″, a little more expensive, but worth the price to us. Bought a twin mattress for $99 at the same time. We like to buy local and get a good price. Very comfortable and we get a great night’s sleep. We left the old beds in the house that we were going to be using for vacation rentals. We have had a good month in February. Thought it was going to be a slow month, but we had three weekend rentals. While there are costs of supplies and time to clean, that was $1200 income for the month. Definitely looking forward to the busy season this summer when rentals are for full weeks, not just weekends. Being smart with watching expenses and keeping the income streams going is part of our financial strategy. We bought a similar memory foam mattress online in 2003, free shipping, and it is as amazingly comfortable now as it was then. It is the 12″ thick King – and honestly that thickness in retrospect seems completely unnecessary. It did not come rolled up – the box was GIANT! Am I really going to be the first here to mention how weird it is to go back to bed a half hour later and find my bed still warm? Oh yeah! We bought your internet mattress too thanks to your rec months back! We ended up getting the 10inch version for our lake house, and then sprang for the 10 inch ventilated version for our home (our mattress was going on 20 years old and REALLY needed replacing). I do prefer the ventilated version, but both are just fine, obviously. It was nice to get a rec for something ahead of time and feel confident knowing it would likely workout AND save us a ton of money. Oh good! I’m so glad to hear the mattresses are working out for you :)! I got a queen sized mattress from Tuft & Needle on Amazon a year ago and absolutely love it. The list price was $600, but I got $100 knocked off for using my American Express card (instant rebate) and there were no shipping fees. I think it is the best mattress I’ve ever slept on. I second Tuft & Needle! I wonder if it’s the hipster bird one she mentioned? It was pricier than Internet Mattress, which I was unaware of when we bought ours 2 years ago. Still, 2 years in our T&N Queen size is still comfy! I love the pictures of your bedroom. It’s so simple and neat! We also bought a mattress from Amazon about a year ago. I think we bought a different brand than yours, but it’s been a great purchase. It came compressed in a bag, and watching it unroll and expand was pretty crazy! We did have to get those elastic bands to get our sheets to stay on, because it took deep sheets and ours were not, but the elastic bands were a frugal solution to buying new deep pocket sheets. I think all the boys at the XFP’s house are sleeping soundly on Craigslist mattresses. Twins seem easier to come by and are not infrequently included with bunk beds, apparently. Word to the wise: We have PVC-free mattress covers that are SUPPOSED to be waterproof, but they do not work. I don’t imagine I will be sleeping in the living room on a daybed forever so I will definitely check out Internet Mattress when the time comes :-). Frugal Hound is the coolest! And while I’m squeamish about used mattresses, I didn’t have any qualms about buying a used (“pre-owned”) La-z-boy recliner couch from an estate sale. It had a broken handle and I got it for $170. Ironically enough……. I slept on that bad boy all summer when I was renting a studio apartment as an intern. Only bugs I saw were courtesy of my gross neighbors! The problem nowadays with a thinner mattress is that it is difficult to find sheets for them. Sheets seem to be made with huge pockets for the thIck mattresses and they won’t lie smoothly on the thinner mattresses. I did find one option in The Vermont Country Store, but it is pretty pricey. Hmm, we actually haven’t had that problem. We have regular king-sized sheets, which were hand-me-downs from my parents, so I’d estimate they’re at least 15 years old, but still chugging along just fine. I am very proud to report that, in my adult life, I have ALWAYS slept on used mattresses, and have never had a problem! In fact, I even now in my ultra-adulthood have a used guest bed, and get compliments from guests on how comfortable it is! My first mattress was a used queen from a roommate who was moving out as I was moving in, and she offered it to me for $25! I couldn’t believe it. I still use this mattress and LOVE it. The guest bed mattress and frame was from a friend who was moving and offered me $100 for the bed and the frame. I may have been able to find a better deal, but I was on a time crunch and thought it was worth it to get from someone I know. I was thrilled when I met my new boyfriend that he has quite the frugal king bed setup. He found a cheap used king frame and box spring at an auction, and then bought two used twin mattresses for super cheap. Yes, there’s a little bit of a gap in the center of the bed, but we won’t mind too much for now. I’ve actually stopped noticing it. We’ve thought about getting a nice mattress topper that might help with the gap, but are on the hunt for the right deal! OK. My question out of this whole post – how in the world do you get into the bathroom? lol Seriously, do you have to stoop over? Wow! OK, thanks for replying. I love your “clean” style of decorating. Oh, something else I wanted to add. I have just started reading about Prius camping. It sounds great! You may want to check it out! Interesting! The mattress I have now was a lot more and only a queen. I’ve had it over 10 years, which mattress people say is too long, but I wonder what the real length you can have a mattress is. But when I am up for a new one I think I will have to look into this more! As far as used mattresses I’d probably only take one from someone I know. Even if it came from Craigslist from a clean looking home I’d be squeamish. I have friends who just bought a bed on credit. They probably should have read this post first! I think they went all fancy and bought a Tempur-pedic because she needs a crazy expensive bed to help her back. She thinks it’s been worth the money, though, because she’s been sleeping a lot better. If only she knew she could have saved thousands and slept just as good on a different bed! We’ve purchased three different mattresses off the internet, and I’m a complete convert. Ye old mattress shop will not get another of my dollars. So that took time to get rid of. I bought an economical internet mattress several years ago and love it! And you are so right…liberating it from the container was a hoot! It’s a one time thrill..so enjoy! Also, just want to say your bedroom is lovely! Frugality can lead to a beautiful, bright but tranquil sparseness that rests the eye. My taste in decor! Lovely! On a totally separate note, I see in your master bedroom that you have a skylight. How do you like having one in there? What are your thoughts? We are considering putting one in ours. Thank you! So re. skylights, it was there when we moved in and we would not have installed one because they’re often maintenance nightmares. They can leak/break/etc. Since it is there, it’s nice to look at the stars and moon, but in the summertime, the sun sort of pierces our faces in the early morning :). I must add that I put in 2 ventilating skylights when reroofing 20 years ago – Velux- and not a single prob in all those years! Thank you both for your replies! They are very helpful! If you have kids or not, a waterproof mattress cover is an excellent idea. It has saved us replacing our mattress at least three times- including my water breaking during a nap. First comment after reading for over a year! We bought a foam mattress (the 12 inch, we like soft mattresses) about 8 months ago after I was inspired by this blog! Still going strong and SO comfortable. We’ve found that twins, doubles, and queens are so easy to find on Craigslist, but that king beds are next to impossible to find – enter a 97 pound box that arrived at my doorstep two days later – gotta love prime shipping! Hooray! So happy to hear you like your internet mattress too :)! It baffles me how many mattress stores exist! I never see anyone shopping inside them…Guess that’s why they have to charge so much! Thanks for the hearty recommendation; once we figure out if we’re moving we’ll pick one out (not going to buy a new one and them move four months later). Mad props for the Portlandia “put a bird on it” reference 😊. Store mattress prices are so high because they have to pay for rent of a store that sees one customer a week. These stores are on every corner…This whole premise is crazy and I totally love your internet mattress idea. Coming from Europe, where mattress stores don’t exist and beds and mattresses are sold in regular furniture stores, the US reality of mattress stores everywhere and need to spend thousands of dollars on one was astonishing to me. Europe also does not subscribe to box springs, just additional cost and no use (they tell you it’s needed). Ikea has also reasonable mattress costs if someone would like to touch before purchasing. I was going to suggest IKEA for cheap mattresses. They have foam ones and spring mattresses, and you can try them out ahead of time. We got my teenage son’s there and he loves it. I think we paid around $200 and brought it home in my husband’s car. I think it’s actually lighter than a regular mattress? We have no problem making the bed–it’s a fairly thin mattress, so it doesn’t have much heft to it. Hope this helps! We bought this mattress a couple and are still loving it. However, I do worry about the chemicals it spews out (they tell you to not be near it when you first open the box). Thus, I am considering an organic matress next time we need a new bed. What is your take on organic mattresses? This came at the perfect time! Spendy SO has declared that we need a new mattress (ours is in panfully bad shape) but seeing he’s spendy, his initital ideas are to go for the super spendy mattress (working real hard on him no longer fearing the cheaper….working realllll hard at it). Now I can suggest an internet mattress and declare, in truth, “I’ve read some pretty good reviews about ones you can get for cheap on Amazon” (referring to you) and I wouldn’t be lying and/or cajoling him! Ok, I’ll be cajoling…. It’s really helpful to hear a review like this. Normally mattress store give you, what, 30 days to test out the mattress? That’s really nothing… 5 years later I take this review as a true one. Similarly we upgraded our bed to a California King last year. We had our fair share of mattress trials, however ours consisted of buying, testing as long as we could, and then moving on. I think the 3rd one was the charm. It was not, however under $300 though! Well done. Is there a consensus on when it’s time to replace a mattress? I feel like the one we have is working fine, but it is a bit on the old side. I would definitely go with an internet mattress to replace the current one, but wouldn’t want to do that just because the current one is old. That’s like, anti-frugal 101. We plan to use this mattress until it no longer feels good. I think often (though not always) “rules” around duration of time to keep something are usually devised by companies trying to get us to buy more of their stuff. I’d say, if your bed feels good to you, keep it! Every word of this article reminded myself two years ago! I’m from UK but I also got our supercheap, high quality memory foam mattress from Amazon. Although a supplier was a third party, price was as yours and free delivery. Interesting! I’m kind of scared to buy mattresses online, but it seems like the fashionable thing to do nowadays. I LOVE the deal you got on Internet Mattress!! Mr. Picky Pincher and I also are in need of a king mattress. I like to sleep like a starfish, which isn’t harmonious when you share a queen-sized bed with someone. I’ve slapped Mr. Picky Pincher in the face at least ten times over two years of marriage, and that’s just what I remember. We sleep on a very nice queen pillowtop mattress that Mr. Picky Pincher bought years ago. It’s probably 5 or 6 years old. I think he paid a pretty big sum for it–$1,000 in cash. I have never bought a mattress myself, since I’ve always had hand-me-downs from family, but eventually I do think we’ll need to upgrade to a bigger bed for everyone’s sanity. Mrs. FW, would you be able to tell me the brand of your black dresser shown in photo #3? I love the design of it, very simple! Hi Michelle, It’s from IKEA (we bought it there about 10 years ago) and the style is called Hemnes. It has held up pretty well for us, and it’s been moved 3 times! When I first moved into my own apartment in Mumbai I slept on the floor on a “mattress”. The mattress was actually an old quilt that my mother used when she was in college. It was about an inch thick and very, ahem, firm. I used this mattress for nearly eight years. When I first traveled to the U.S. on business and checked into my hotel room and dove into the bed, I thought I was in soft, cloudy first world heaven. The next morning, with my back aching, I realized that soft poofy mattresses were not my thing. I started to sleep on the the duvet on the floor and would mess up the bed in the morning so that the cleaning staff didn’t think I was too weird. Cut to when I immigrated to this country, and then moved in with my then boyfriend, now husband. We bought a mattress from a mattress store. Imagine my shock and horror when we spent more on this mattress *than my annual salary when I first started working as a software engineer* back in India. I wrote an entire rant about this on my blog. If I ever need to replace our mattress, an internet mattress it is going to be. On the bottom is it more like a mattress (mushy on the bottom that requires all the bed slats) or firm enough that you could get by with one of those Hollywood metal bed frames that only has 2 or 3 cross beams? I am sick of buying $900 king beds that get mushy and gross after 4 yrs! It’s foam throughout, so it’s a solid consistency, if that makes sense :). But it does need something to support it–I’m not sure if crossbeams would do it or not, but you could certainly try and then buy the slats separately (they’re pretty cheap) if needed. Good luck! I love how you make the story of a mattress so interesting and entertaining. I don’t know how old my mattress is, or when I’ll need to replace it, but when I do, I’ll know just where to go. 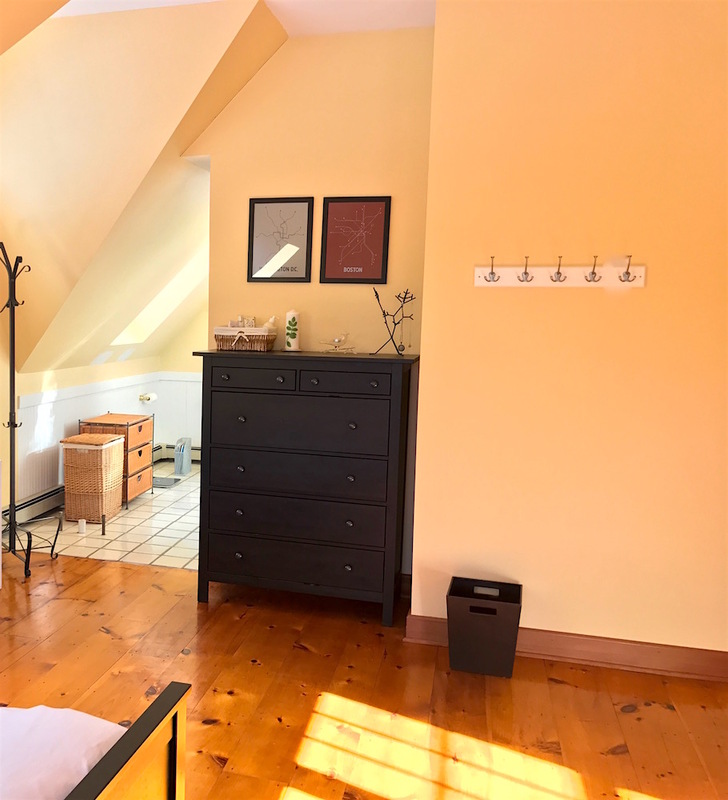 Your bedroom is lovely and minimal, and Frugal hound is a trooper. 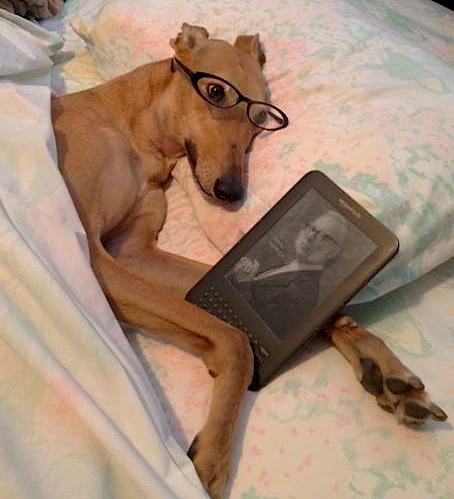 How you get him to pose like a human on a pillow with glasses and kindle is beyond me. I have a foam mattress from ikea. Similar to yours comes rolled up and springs to life. Been using it 5 years and came with a 25 year warranty. I think it was $179 back then. Anyhow has been super good in use. We’ve had the same IKEA king size mattress since 2006. It’s been moved 7 times in 3 states and 4 towns. It’s only now starting to show some age… but the real story is the pillows: We have two Royal Velvet pillows that have been with us since before 2002. I’m not really sure how old they are because they were hand-me-downs from my brother-in-law when he impulsively decided to move back to Mexico after many years of living in the USA. Assuming he bought them when he arrived they are very likely old enough to legally vote or drink (if they were humans). Yes, as you can imagine at this point they’ve got stains and one has it’s filling exposed and both are generally starting to decompose, but we love the hell out of them. They are firm, but not too firm. No lumps. Your head doesn’t sink into the center, but nor is the center unyielding. They’re just perfect and they were free. We got a foam, in a box, springs open king mattress from Costco. It was on sale for around or under $400. We’ve had it for at least 5 years and it still feels great. It sits on a double box spring and Ikea frame that came from Craigslist for around $200. We love it immensely! We bought a bed in a box from Costco. I think this is it: https://www.costco.com/Novaform-14%22-Comfort-Grande-Gel-Memory-Foam-King-Mattress.product.100150126.html We managed to buy the king on sale for about $500. Costco confirmed that we could return the opened mattress if we didn’t like it. After two week, we 100% love it. Although, under $300 would have been even better. These bed-in-a-box options are terrific since there was no physical way we could have ever gotten a king-sized mattress into our home. 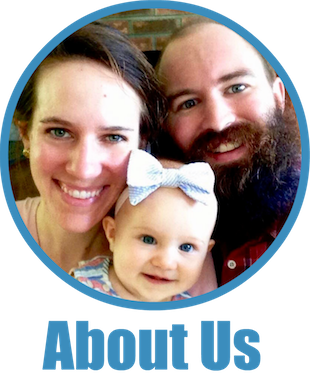 Thanks so much for the article – it’s great to hear about your frugal successes especially on topics like mattresses where most general information seems to point to a “need” to spend big bucks. I got a used double mattress from the previous tenant of the place I moved into two years ago for just $20. Now yes, with a used mattress, there is the possibility of bedbugs. However, in this case, it didn’t matter because if the mattress did have bedbugs (it didn’t, by the way), then the room would have bedbugs too and infect any new mattress I brought in. It’s served me well for the past couple years. I’ll be kinda sad when I end up selling it when I leave this city after I graduate. Though maybe I won’t if I end up with a job that pays for my moving expenses with a large enough line item reimbursement cap as opposed to a lump sum. Oh yeah and I got a used bed frame that uses slats (so no boxsprings for me) for $40. Good to hear. There’s a prominent foam mattress-by-mail company that I’m constantly hearing about because it’s advertised on about a thousand podcasts. Every time I hear it, I think of your Amazon mattress and how all the advertised mattress’ extra cost must be marketing. (Side tip: Never buy anything that heavily marketed) They offer free returns too, and I do wonder how that works, seeing as how once the cat’s out of the bag… er, mattress is out of the box, it looks incredibly difficult to get it back in. You hit the nail on the head there: “Never buy anything that heavily marketed.” They have to pay for that marketing somehow :)! What do you do with the old mattress, if you order online? Does Amazon take it away? I’ve been sleeping on a super cheap Ikea mattress for three years, and it’s not awful, but it’s not the most comfortable, either. I want to replace it, but it won’t fit in my car, and I honestly have no idea what to do with it. My mattress is form amazon, but no, they didn’t offer any sort of removal/disposal option. Can you secure it to the top of your car? If you can, hopefully there’s a donation center or disposal site close enough near you. A friend of mine tied his mattress down to the rack on top of his Honda Civic to move across town. He picked a day with good weather and no wind, and drove slowly 🙂 It was risky, but it worked! Or, post everywhere on your social media of choice so that everyone you know knows you have a mattress you want to get rid of – who knows, maybe someone will want it! We are indeed hipster-ish–I love nothing better than making fun of myself :). 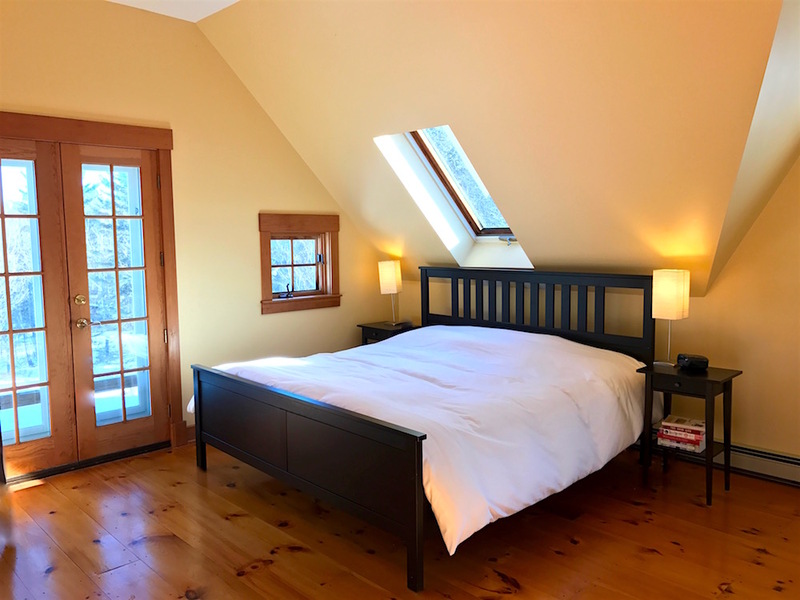 So, we put our old mattress in our guest room, but you could also offer it for sale or free on Craigslist or through a Buy Nothing group–someone will probably be very excited to get a free mattress :)! Thanks! I figured people would be weirded out by a used mattress, but it’s worth a try. Trust me, there are frugal weirdos everywhere who will be thrilled :)! What a great find! Aldi–who would’ve guessed! I slept on a twin aerobed for quite a bit post-college (off and on over several years, with a total accumulation of about a year worth of sleeping on it). I still have the air mattress, and it works even tho it’s been 12 years since it was purchased. I find it unbelievably comfortable for one person but not the best for multiple people. Anyway, another frugal alternative! It worked well for me because I moved several times post-college, and I was able to roll up the bed and take it with me in my Corolla. They’re a bit pricey at the start, but, like you, I got so much use out of it that the per-use cost is quite low. Plus, since it still works, we have extra spots for guests. We bought a full sized aerobed a few years ago and now use that when we visit friends. Well, I fell for the hype of a pricier mattress from Sleep Number, albeit the entry level model. But, still it was $1200 plus delivery. The worst part is that I’m not in love with it. I tried adding a foam topping to make it more comfy, but I’m still not in love with it. It’s just ok. Unfortunately, advertising works because I’ve wondered if I should have bought an even more expensive model and then maybe I would like it better. But, it’s nice to read Ms. Frugalwoods combat this notion! -You can buy a new internet mattress for 18 consecutive years. Each year, a new mattress for you and a free new-to-them mattress donated to a family in need. – You can buy a new internet mattress for yourself and 8 other family members while matching the purchases with 9 new internet mattresses donated to a local charity in each family member’s name. 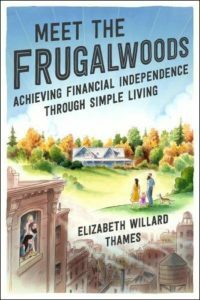 Keep up the wonderful posts Frugalwoods! Its funny you posted this today! Last night was our first night on an Amazon-purchased foam mattress that arrived rolled up in a box on Friday. With our 5% discount Amazon card (paid off monthly) discount, it came in at less than $200. After learning the hard way about expensive mattresses, we’re hopeful about this one lasting longer than either the $1800 (stop laughing) pillow-top furniture-store private label mattress or its successor, the department store sale $400 mattress. We decided that even if it only lasts 3-4 years it still, per year, will have cost less than either of the box spring jobs. We first tried foam after reading about it on your blog, bought a twin for the guest room. I nearly moved out of our room to the guest room after the guest left! And last night was soooo restful. For the first time in 2 years my hips didnt hurt when I got up this a.m! But about sheets… when we bought the department store mattress, it was “deep” so I bought 2 new sheet sets. Since then one bit the dust, the other is on the new mattress and is nearly kaput, so I went online sheet shopping. WHEN did sheets get so horribly expensive!?! Wednesday new sheets arrive and they should be gilded in gold for the $$, and I didn’t buy anywhere near the most expensive available. I guess we’ll see how these hold up! I would probably buy almost everything online if I lived in the US. Sadly, in Canada, shipping for a mattress would likely force me to mortgage my house (of course I haven’t had a mortgage in many years; thanks to being frugal)! When we bought our last mattress, we were just thrilled that the store delivered the new one for free and took away the old one, saving us what the city we lived in at the time would have charged us for the pleasure of delivering said old mattress to the land-fill (yes, it was that old – land-fill ready). On a much more serious note: how do you get Frugalhound to pose like that? Hilarious! I’ma little jealous of anyone whose bodies are cooperative enough to be able to sleep on just any old thing. My sister sleeps on a Costco air mattress and has for many years. My husband could sleep on the floor. I, on the other hand, have scoliosis, and fibromyalgia, and autoimmune arthritis, and my back is very tetchy, requiring daily PT exercises, hot soaks, warm compresses, yoga, massage, TENS unit, and occasionally a muscle relaxer to behave enough to let me sleep through the night. I am so grateful my husband bought a Tempur-pedic sometime in ’00 before he met me, and we still use it. I have slept on couches, recliners, hotel beds, Sleep Number Beds, my kids’ cheap $400 full size mattresses, and most of them are like medieval torture. Our mattress gives the perfect amount of firmness and give to keep the muscles around my crooked spine from pulling. I’m sure it was super pricey when he bought it, but it is going to last until we die, because I can’t bear the thought of trialing anything else. It was probably $5K back then. It’s one of those things – because you’re frugal, you can afford the better mattress required by your health issues. I’m an allergic asthmatic with a lot of chemical sensitivities & my hubby took the new mattress to the guest room, opened a window & ran a fan “just in case.” The weird thing? Neither of us could smell anything at all. I wonder if the chemical levels vary from unit to unit based on when in a ‘batch’ they’re produced. 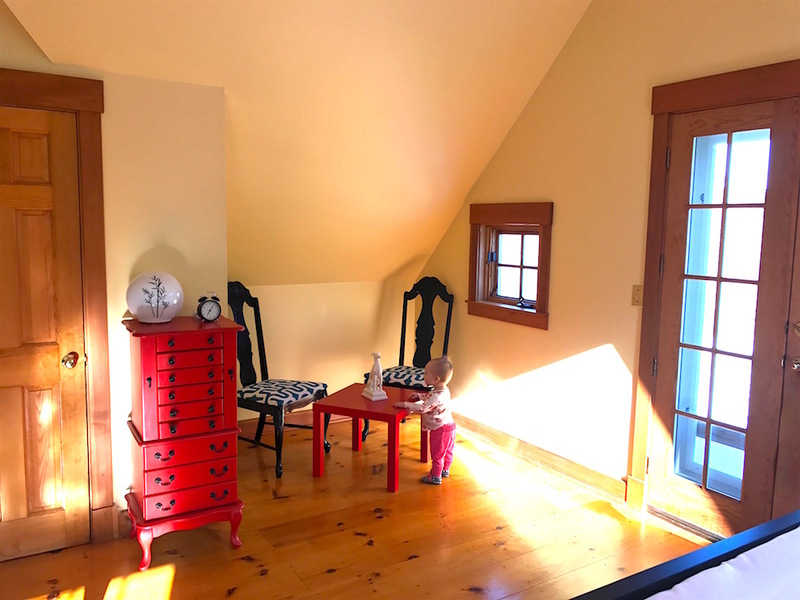 Love all the stories on here….never would have thought a bed that comes rolled up was that good….I may just try it the next time I need to purchase one….we always learn things from you Mrs. Frugalwoods….your floors are so beautiful, are they real wood or laminate floors, and how do you clean them ? Do they scratch when you move your furniture…..that is what I wonder about….having a dog, do you have to use a dust mop or similarl every day ? Within 3 months there were great dips and it was not at all supportive. Cost us just as much in chiropractic adjustments, so definitely a frugal fail. I was so pleased when I saw a garage sale sign one morning. It was at an ex-display home, so all the furniture was essentially brand new. They had a queen sized IKEA mattress for sale for $50. It retailed for around $500, so I was quick to snap it up and bring it home. We made sure there were no creepy crawlies and gave it a try. It was like lying on a supportive cloud. And it still is. We’ve had it for a year and every night I sleep so soundly and deeply, it is just so comfortable. I hope we won’t have to replace it anytime soon, but next time we do, I’ll be heading to IKEA. $500 is still better than the $2000+ mattresses I have bought in the past. Before our frugal lifestyle kicked in we did indeed get caught out with a 4k mattress/bed on the credit card. Wow, if I had of known we could have purchase mattress off the net for a lot less it could of saved a lot of money. Now we are looking to upgrade to a king so it might be well worth looking around. Amazon is reportedly coming to Australia soon. Retailers are understandably not thrilled by this development. Overstock can also be a great place to find a good deal. We paid just under $450 for a 14 inch king-size memory foam mattress. We love it and it has gone strong for 42 months. I formerly slept on a mattress purchased $100 used utilizing the methods you suggest. Was a great mattress. Skeevy? eh, Was not willing to continue to sleep on the pull out couch I had been sleeping on for a year any longer. Then I moved long distance and didn’t feel bad at all when I ditched ditched said mattress five years later. I then, too, purchased an internet mattress from Amazon. Albeit not the one you suggest (although it sounds great). I bought a queen spring mattress from amazon for under $300 and it arrived in a similar cylinder with appropriate “open in the room intended” warnings. It turned out to be too hard for me, but rather than return it I wound up buying a nice memory foam topper. Not sure why I didn’t return it — the mattress purchased wasn’t terrible it just wasn’t quite right for me if that makes sense.. The foam topper addition makes my combo perfect for me — I’m a fan of the soft yet firm feel, lol, so my DIY cheap internet mattress worked out to be less expensive than a traditional one. I am sitting here at 10 pm shaking my head in agreement in the “eh, why not try Internet Mattress” feelings you mention. I love how light and sparsely decorated your place is. So spacious and lovely. I’ve been looking for a new mattress for my nine-year old, and this might just fit the bill! His current mattress is, for some reason, as stiff as a board? It’s nice and firm, so probably good for his back, but I’ve found it uncomfortable. It seems to get more stiff as time goes on, which I didn’t think was possible for a mattress. We did something similar. We purchased memory foam toppers for our used mattresses . Amazon delivered and it was free to us due to points. Win all around and opening the package was exciting!!! I am the proud owner of a Queen sized Sealy Posturpedic Pillow Top – insert random cloud names here – which I purchased with a GROUPON! Yes, Groupon Goods is another frugal friend to have in your quiver! It was $550, and included FREE delivery (to the THIRD floor of my condo building – which is normally an extra $25 at big box stores) AND FREE removal of old mattress! And, in ultra frugal fashion, I purchased through Ebates – netting 6% cash back on said purchase! I bought my full size mattress off Craigslist for $100 from an artist couple who was clearing out their guest bedroom, e.g. the bed had only occasionally been used for guests. Back then I was in graduate school and broke, so this seemed like making ends meet. Now I’ve graduated and have a salary, but continue to use the same mattress I bought 6+ years ago because I still sleep great in it. Yay for frugality! We’ve been sleeping on our matress for 6 years and it is showing no signs of wear yet. We bought ours from a local business after trying out around 50 in the shop. I’m not sure I’d dare buy one without trying… we’re very fussy on bed comfort. Like the princess and the pea! My DH will only buy mattresses from Jordan’s furniture here in the Boston area – I’m sure you know Elliott’s commercials. So we went through the testing in the “sleep lab”, worked with a “technician” and paid the four figures for a king sized mattress and box springs. And I’m still not happy! I wake up stiff and sore but apparently its me, not the bed. Could you possibly do a review of bed pillows? I’m a side sleeper and have over 8 different pillows and have yet to find the “right” one. BTW, Frugalhound is probably the cutest greyhound on any blog. Does she wear an orange hunter’s safety vest when walking in the woods? She looks so much like a deer. She does indeed wear an orange safety vest, because you’re right, she looks exactly like a deer :)! I’m sorry to hear your bed isn’t working out well. I’m afraid I don’t have any wisdom to offer on pillows–but if I find any good ones, I’ll do a review! I ordered a mattress from an online store about 4 years ago and have been so happy with it! It was scary to purchase without being able to test it, but it has worked out well. Maybe next time we will check Amazon! After years of sleeping on uncomfortable spring mattresses, my husband and I finally bit the bullet and bought a new mattress. We knew we wanted to buy a foam mattress after a pleasant night’s sleep on a foam hotel mattress, and almost bought a Tempur-Pedic. We had ourselves CONVINCED it would be worth the money. Luckily, a friend told us about a company, Tuft and Needle, and we bought our mattress from them, and absolutely love it. Love live the internet mattress! Thank you for the information! Last year, I was laid off so I moved myself & 2 daughters from New Hampshire back home to Seattle. I shipped 40 boxes of our most prized possessions, leaving all furniture and non-beloved items behind. We’ve been house sitting for my parents while I got back to work, but they come home in April and we will get our own place. I will need to furnish an entire house on a frugal budget, I’ve managed to pick up 2 twin beds, a few dressers and a kitchen table for free, but such a daunting task to think of all else I need to get. I will certainly get my mattress from the internet, based on your recommendations…hadn’t even occurred to me to buy from Amazon, wow! We have a very similar mattress that came from Costco. It was on clearance because the new version with “gel foam” was just released, but the old version is just fine with us, and the price was right. I bought my mattress from Ikea. Quite comfy, quite cheap. Has anyone else thought about the complications of returning this mattress that arrived vacuum packed? Yeah cheap bedding! I know someone who is financing their bed right now…oi vey! I actually got mine off Craigslist. I feel pretty financially “Okay” for a 26 year old, but not “okay” enough to justify the whole get-up necessary for a new full-size bed (mattress, box spring, new size sheets, etc.) I super lucked out on Craigslist by getting a full size bed, mattress, and frame from a, shall we say, “affluent couple” up the street who used the bed just a few times in the guestroom. They also threw in a free set a sheets because I’m not to proud either. Total cost: $50! You can barely get last season’s Ralph Lauren sheets @ TJ Maxx for under $50. I am moving soon and was dreading the search for a new mattress. Finding this post has given me some hope that perhaps it won’t cost a month’s salary to get a good night’s sleep. I am looking forward to giving an internet mattress a try. As you say, if it doesn’t work out, then not much harm done and I can always try something else. Well, I bought internet mattress today. I had really been trying to hold out for the 5 year mark on the $450 pillow top mattress I bought from Sears in 2013, but unfortunately it was a dud. The compound back pain from pregnancy (which I successfully ignored) and taking care of a newborn (which I can no longer bear) had me searching for something new. I remembered your recommendation, and the price was now $225 for the king. I also thee in the waterproof cover you recommended. It seems worth the gamble, but sadly, it looks like it can’t be returned. It says only in original packaging… How would you know if it was any good unless you took it out? I have a mattress (and its buddy the old fashioned box spring) that was expensive at the start ($1200 in 1997) that I sprang for because it was made with all non-toxic materials (lung issue – long, boring story). Fast forward, my LifeKind set is now officially 20 years old and shows no signs of disappointing me. btw, I did get a foam pillow topper for it that I use during the winter and I’ll match your mattress unrolling story with the way this thing nearly took out a ceiling fan. One of these days I’ll make a YouTube video of me wrestling it to the ground each Spring to put it away for the summer. Let’s just say my own dog (a Briard who uses his bangs to pretend he didn’t see a thing) has gotten used to salty language…. I just recently moved and was inspired to try an internet mattress myself. I talked about mine recently on my blog, and of course linked back to your post since you showed that it was worth a try. I spent way more on my last “regular” mattress. Three times as much in fact. This time around I decided to spend smarter. LOTS of comments. I searched for the word “hot”, but didn’t find what I was looking for. I tend to get too hot while I sleep. How does this mattress do as far as that’s concerned? It does just fine in the heat! We don’t have AC and haven’t been hot on this mattress. I actually think it’s cooler than a regular mattress. Hi Liz! I am ordering Amazon Mattress today, but the bed frame that I want is “currently unavailable.” If I unfurl the mattress on the floor is it going to be difficult to move it onto the bed frame when it does finally arrive? Thank you for your help. My husband and I were in desperate need of a new mattress and because I read your blog post, we knew exactly what to do! We visited the retail stores, checked out the specs of the mattress we wanted, tested them out, spoke with the sales rep for further intel…and then went home and compared our gathered info on the Lucid website! We found the 12″ gel Memory Foam was the one for us. We ordered it on Amazon prime day which saved us even more money. I’m sleeping like a baby and saved a cool $3000 by taking your awesome advice. THANK YOU! I considered myself frugal until I realized there was so much more I could be taking advantage of to optimize my cash flow and savings. You have inspired my husband and I to venture further into the realms of frugality and early retirement. I even started a blog as a side hustle. 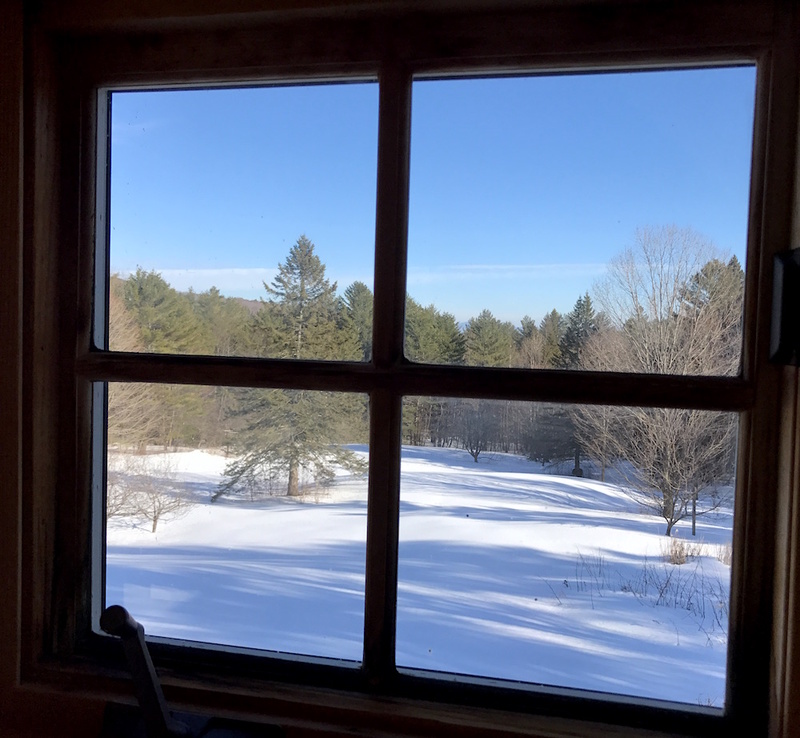 We are HUGE fans of Vermont, visit there often, hope to make it a permanent home and love reading your homestead updates. Take good care. Enjoy the New England autumn! Great post, thanks. I stupidly bought a TemperPedic for thousands of dollars. Oh, well. All I can do is pay it off & be positive about all I am learning about how to be frugal, including from you. QUICK QUESTION: Any idea of where to buy reasonably priced sheets? For queen?